I type a lot. More than most lawyers, I bet, now that my day job mostly involves writing and editing. That means my keyboard probably gets used more than anything else I own. So I am particular about keyboards. I loved the heck out of the keyboards on my old ThinkPads, and I really liked the Apple Wireless Keyboard, too. But I couldn’t fall for the newer Apple Magic Keyboard, which I bought shortly after Apple released it. The keys are just too shallow. It feels like typing on a granite countertop, and my arms were starting to show the strain. When I mentioned this to our new Deputy Editor, Lisa, she offered to loan me a mechanical keyboard. Now, if you aren’t aware of mechanical keyboards, here’s the deal. Most of the keyboards that ship with new computers have a rubber sheet that looks a bit like bubble wrap. When you press a key, it smushes down the rubber dome underneath the key to complete the circuit and tell your computer what key you pressed. Rubber dome keyboards feel mushy, and it’s hard to tell how far you need to depress the key to type a character. Mechanical keyboards use an actual mechanical switch. At right is the action of the Cherry MX Brown (the Keyboard Company has a page with all the Cherry MX switches). You get a tactile bump when the switch actuates. The rest of the key travel just gives your fingers a bit of cushion before the key bottoms out. If you are currently using the keyboard that came with your computer, I am pretty confident you will be happier with a mechanical keyboard. Mechanical switches just feel better than mushy rubber dome keyboards and way-too-shallow laptop keyboards. There may be other benefits as well. The first time you spend a day typing on a mechanical keyboard, the muscles in your forearms may get a little sore. That’s because you are actually using your muscles to press keys down instead of just hammering your fingers into a hard surface over and over again. Many people who use mechanical keyboards believe it can stave off carpal tunnel syndrome and repetitive strain injuries. I don’t think there have been any major studies of this, so who knows if it is true. It does seem likely, though, that pressing a switch is probably better for your muscles than banging your fingers on an unyielding surface all day. You can also probably type a bit faster and more accurately with a mechanical keyboard than with a rubber dome keyboard. The positive feedback reduces uncertainty, and that seems to make it easier to go faster. That said, if you are already typing on a good quality laptop keyboard (or a similar keyboard like the Apple Magic Keyboard) it probably isn’t a huge difference. I tested my Apple Magic Keyboard against my WASD keyboard with Cherry MX Brown switches, and I was actually faster with the Apple Magic Keyboard by a couple of words per minute, on average. I think that’s because moving from one key to another is actually easier on the shallower keyboard, since my fingers never get stuck between keys. However, in switching back and forth the difference between the two keyboards really became apparent. The mechanical switches are just more comfortable to type on. And they make a delightful clackity-clack that announces I AM GETTING THINGS DONE! to anyone nearby (although Cherry MX Brown switches are not loud enough to be rude in an office setting). Besides, I reliably type 85–90 wpm with either keyboard, so a few words here and there is no big deal. So should you be using a mechanical keyboard? If you are using the keyboard that came with your desktop computer, yes. Absolutely. Those keyboards are pretty awful to type on. A mechanical keyboard is a big upgrade and well worth the expense. If you are using a decent keyboard already, like the keyboard on a good laptop or the Apple Magic Keyboard, I still think a mechanical keyboard is a nice upgrade. Or at least a nice alternative for when your laptop is docked in your office. And if you type a lot—which you almost certainly do if you are reading this—I think you will enjoy having something to type on that doesn’t feel like smacking your fingertips against a board. Which mechanical keyboard should you get once you’ve decided to get one? The bigger choice is probably which switches to get. 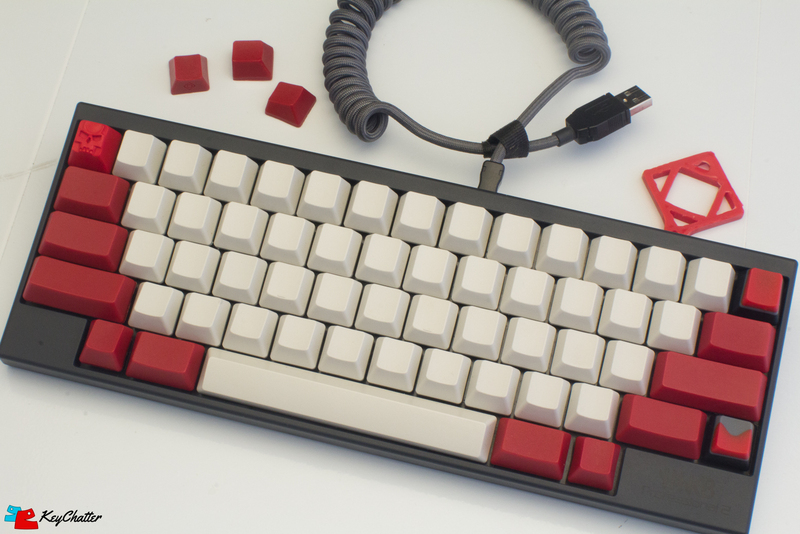 Cherry MX Brown switches are the best choice for most typists. Cherry MX Blue switches are also good for typing if you work alone, but they are really loud. If you really bang on your keys, you may want to look for a keyboard with Cherry MX Clear switches, which take a bit more force than Brown switches. Cherry MX Red and Black switches lack the tactile bump and are meant mostly for gaming. You can also install o-ring silencers to keep the keys from bottoming out and clackity-clacking quite so loudly. If you don’t care about customizing your keys, the WASD CODE keyboard has LED backlighting and ships for free from Amazon. Plus, you can reconfigure a WASD keyboard for PC and Mac just by changing the DIP switches on the back. Not many other mechanical keyboards give you that option. Still, there are a lot of mechanical keyboards out there, and there are some very cool options. Like the amazing rainbow-LED keyboard Lisa loaned me. Or “ortholinear” compact keyboards like the Planck. There is even a whole sub-industry for custom keycaps. Dig into /r/MechanicalKeyboards if you want to go down the rabbit hole. Mechanical keyboards are basically fountain pens for people who don’t use pens any longer. Aren’t these basically what keyboards were in the last century, before everything had to be small, sleek and portable? Yep, and there are plenty of people who collect old keyboard like the IBM Model M.
Take my word for it, go for a Model F over the Model M. Far superior. True. Sometimes older is better (says me now that I am in my 60’s). For focused writing without email, tweets, and other distractions that are so tempting when writing on a computer, try an old AlphaSmart Neo word processor (another $35 eBay find). No one would buy a Model M for portable use. But it is great to connect to a desktop computer or a docked laptop. The considerable weight of a Model M can be a plus because the keyboard will not move around on the desk no matter how vigorously you type. I’ve used a few desktop and portable keyboards that were too light and slid around a bit while typing. Some mechanical keyboards are small, sleek, and portable. Like my HHKB.. I love the 40% keyboards and I totally want one. Although I have no idea what I will do with more keyboards. You can also look for a vintage IBM Model M keyboard or one of the Unicomp replicas. The Model M is clicky-loud, large, and heavy, but feels great to type on. And it will probably still be around and working long after you are gone. You usually need to buy a PS2 to USB adapter (less than $10 on Amazon) to plug a Model M into a modern computer that lacks a PS2 keyboard port. I have found Model M keyboards used on eBay for $35 and up. I bought two. I use one and my son-in-law uses the other. Both were in the $35 to $40 range and just needed a little cleaning. Some sellers “refurbish” them by cleaning, sometimes replacing the cord, and often adding a USB connector. These sell for somewhere between $35 and $85. Actually Unicomp keyboards are not replicas, they are made using the original IBM machinery for the Model M. The electronics are completely updated, though. Just want to point out, they’re buckle-spring keyboards, not with mechanical switches. True. Although in feel and usability, it is hard to distinguish between the two types of keyboards.